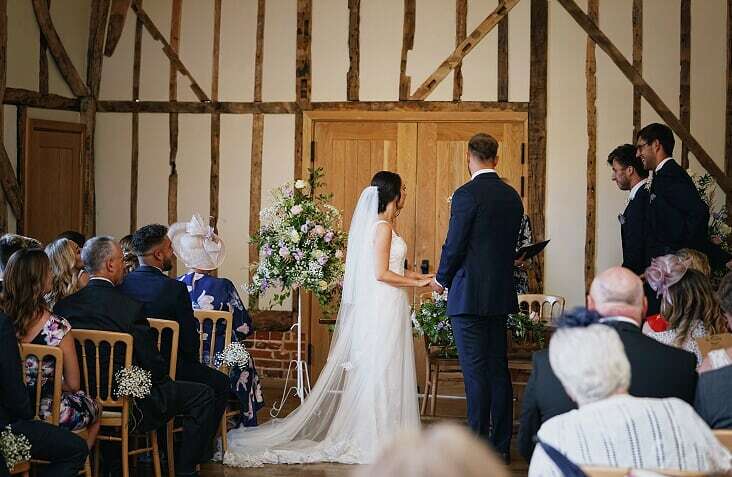 We cannot thank everyone at Bruisyard enough for everything you did to help to make our wedding day so special. The venue is utterly beautiful and all of our guests commented on what a gorgeous setting it was - a hidden gem in Suffolk. Having the hall for the evening before just added to the whole occasion enabling all of our wedding party to spend that extra special time together. The rooms were all so beautiful and our evening meal from the kitchen was delicious! All of you staff were incredible in helping our day to run smoothly and take away any stresses there could have been. You had everything in hand on the day, which meant that Stephen and I were able to completely relax and just enjoy being together with everyone we love. The permanent smiles on our faces in the pictures say it all! Even before the event, your communication and support in the planning was incredible so thank you.